You are probably used to using your protein before or after a workout by making a quick shake. As easy as adding your protein to a liquid and giving it a good shake. However, protein powder is actually a pretty versatile ingredient that can add a lot of protein to whatever you are whipping up in the kitchen. It can easily be added to a pancake batter, toss it into your muffin ingredient line up, mixing it in with cookie dough, creating ice cream with it, etc. Proteins that are vanilla or unflavored tend to be the most versatile unless you are creating a recipe already with chocolate in it, then feel free to go wild with your chocolate protein! Here are five ways you can get more creative with your Protein Powder! Please note – All of these recipe ideas are made using our EBOOST Prime which is a whey protein. Other protein types can be used but the recipes may be slightly different as other types of protein add different textures and flavors. 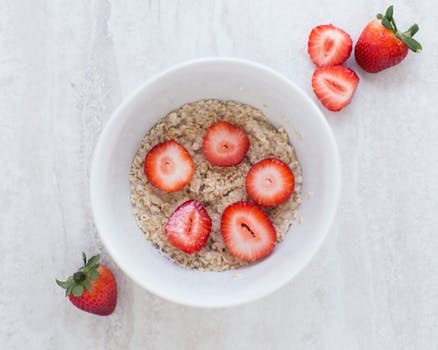 Overnight oats are an amazing satisfying breakfast that you can easily just grab and walk out of the door in the morning. They are something that takes little time to prepare and you prepare the night before. Who doesn’t love pancakes? 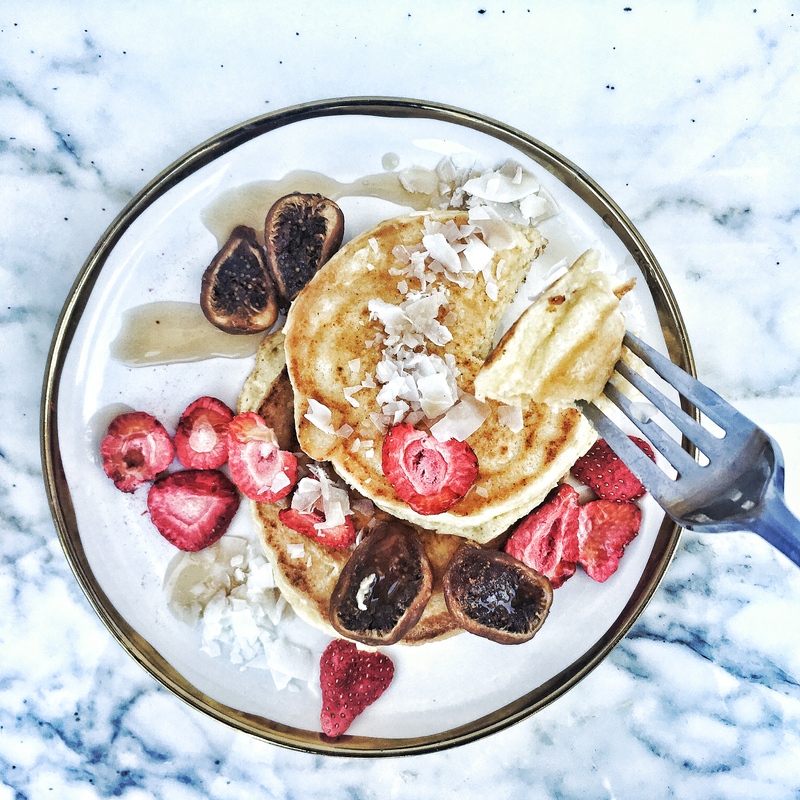 Pancakes get a bad rep when it comes to being a food that is good for you health. This is why the idea of Protein Pancakes has skyrocketed in the fitness industry and something healthy fit individuals love to make on the regular. They can be made with the simplest ingredients and keep the protein high and junk out. They literally can be as simple as adding a banana, some protein powder, and a liquid together and bam – protein paleo pancakes! Sorry to leave you hanging on a recipe for Protein Pancakes, but tune in next Sunday where we will be sharing our own pancake recipe using Prime. One of my personal favorite ways to add more protein into my day is by adding it to my yogurt and creating what I like to call ‘fun in a bowl’. 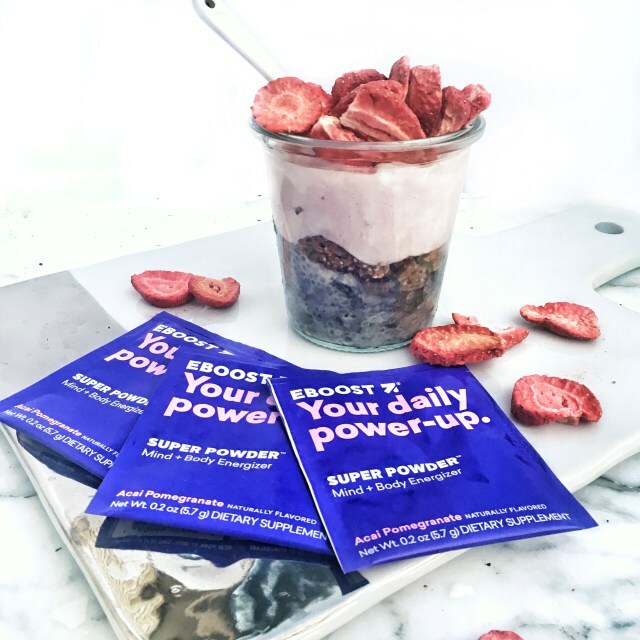 A little while back we published a blog article about adding some of our Super Powder to your yogurt in the morning. This is the same idea, but with protein. You could even add both products together to give you a protein boost and energy boost in the morning! Check out our parfait recipe here. Protein balls are probably the easiest grab and go snack. They work well when hunger strikes in the afternoon, as well as a quick little something to put into your stomach before an early workout in the morning. 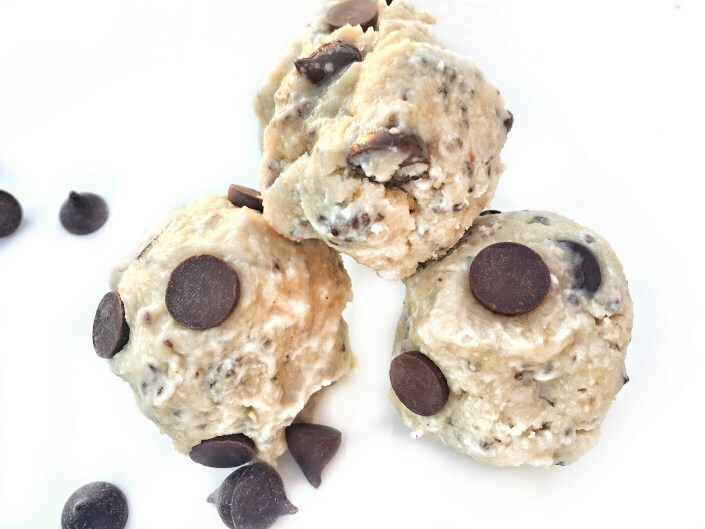 Check out our recipe for Chocolate Chip Cookie Dough Balls here and all you have to do is add some vanilla protein powder to them to up their protein! Some buisnesses have created quite the name for themselves by claiming how great a donut is before a workout. We get it, that boost of sugar can be helpful when it comes to giving you the energy to get through a tough workout and give your body a quick surge. We like to think that not all donuts should be treated equally. There is a huge different between a donut that clocks in at 600 calories and a donut that clocks in just over 100. Here is a recipe we particularly like, that comes in just above 100 calories per donut. preheat oven to 350 degrees spray 5 holes of a donut tin with non-stick cooking spray. In the meantime, heat coconut oil stove-top in a small, non-stick skillet. Slice remaining half of banana into slices and add to skillet. Cook 3-4 minutes on medium heat, until caramelized. Flip and cook for remaining 1-2 minutes. Remove from heat and cut slices in half. In a small bowl, whisk peanut butter with enough water to form a paste. Start with about 1 teaspoon of water and gradually add in more as needed. 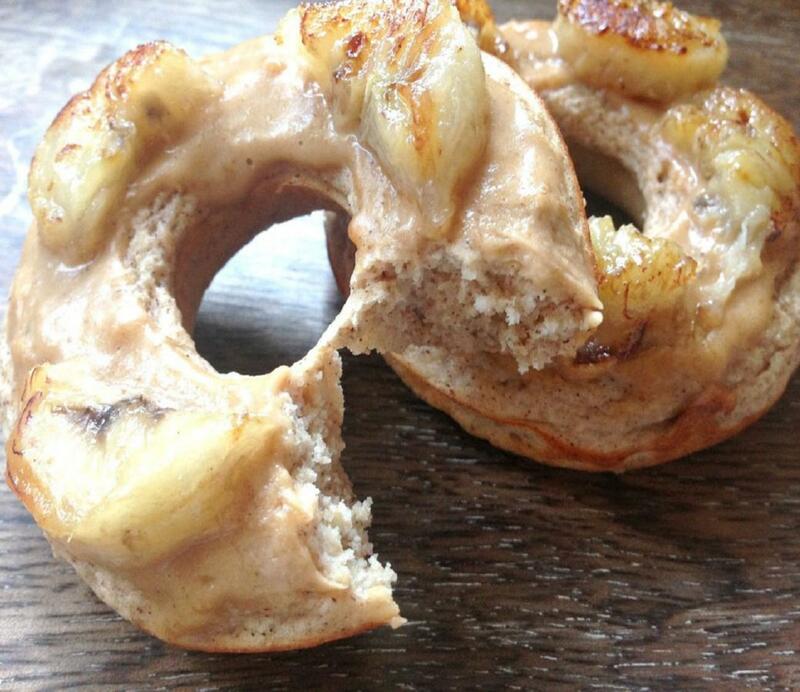 Frost donuts with peanut butter paste and add caramelized banana slices. Enjoy! Recipe by Dishing Out Health via Men’s Health. What is your favorite way to use protein powder? 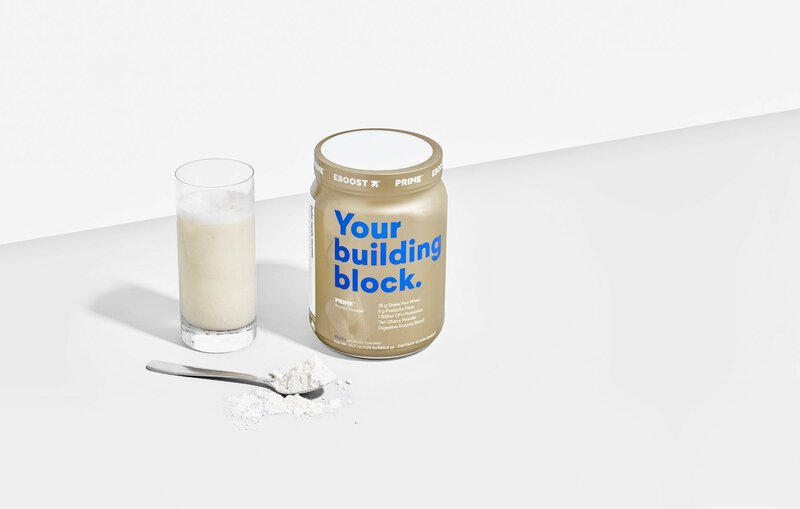 An EBOOST Coconut Protein Smoothie, 3 Ways.